Not long ago (all of us excluded) believed that while dogs were able to perform some tasks, they had no feelings and no understanding of what they were doing. Today we’ve learned so much more about the animals with whom we share our lives. Many of our behaviors and skills are learned by imitation beginning almost at birth. Studies prove that other animals besides humans learn by imitating even complex behaviors. Dogs teach other dogs by doing, so why shouldn’t they be able to learn from watching their humans. And so we come to DAID – Do as I do. The DAID method of teaching was first developed in 1952 for chimpanzees by Hayes and Hayes. It has only recently been put to the test for dogs. It works! 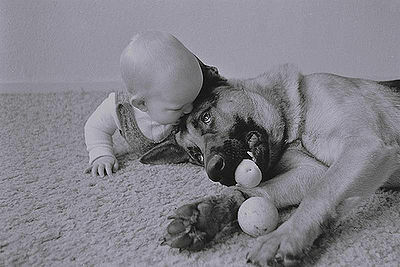 Dogs are capable of being trained through imitating their humans. 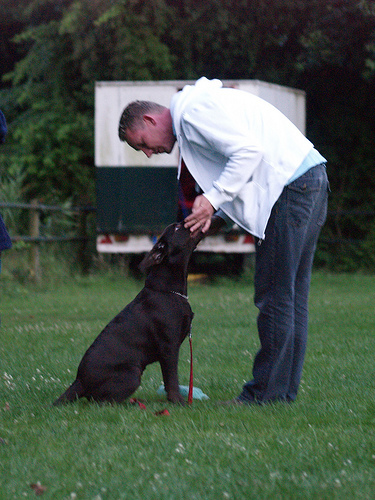 The DAID positive reinforcement method has shown to be faster and more effective than other types of training. Claudia Fugazza is a PhD student at Eotuos Lorand University in Budapest with a B.Sc in Dog Breeding and Education, a Masters in Ethology of Companion Animals and a Masters in Dog Training at the University of Pisa (Italy). She has developed the Do as I do protocol based on the 1952 Hayes and Hayes method for chimps. Using a dog’s natural cognitive skills, Ms. Fugazza has written several books and has a DVD set complete with instructions on the training techniques that will teach your dog to learn skills simply by observing you. She explains in detail how to train your dog to imitate you. Her books and DVDs are available online. 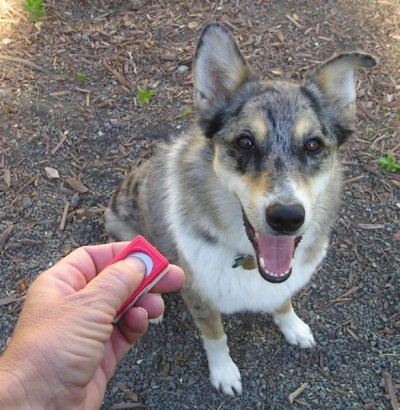 Not only does this method teach your dog new skills, it gives you the opportunity to interact more closely with your pal and have fun for both of you along the way.